About us | Obremo S.L. Our activity focuses on the operational management of public and private infrastructures at a national and international level in the water, telecommunication, gas, renewable energy, infrastructure, and electricity sectors. In addition, we have the necessary qualifications and classifications to offer the maximum security and quality of our services. Achieving maximum excellence is our vital goal. For this, we have a committed, responsible and qualified team. People are our main strategic asset, so we are committed to innovative management and talent development programs, offering our employees an optimal working environment and social benefit packages. The two basic axes for the development of talent in our business are the safety at work and continuous training that encourages the professional and personal growth of our team. Plus, we maintain an explicit commitment to our workers, giving priority to equal opportunities, reconciliation of work and family life, diversity and integration, promotion and training, occupational health, communication and non-sexist language. In 2016, we were awarded the Seal “Fent Empresa. Iguals en oportunitats” for incorporating innovative measures that make gender equality a reality. We are signatories of the Global Compact, whose objective is to promote social dialogue that allows us to reconcile the interests of companies, with the values ​​and demands of society, UN projects, the approaches of trade unions and NGOs in the areas related to human rights, labor, environment, and corruption. 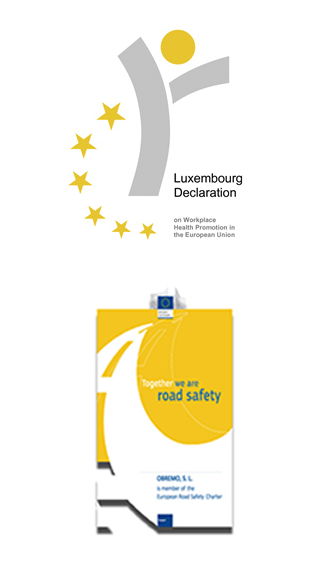 We endorse the European Road Safety Charter; whose ultimate goal is to reduce the number of road casualties. We support the Luxembourg Declaration by committing ourselves to integrate the basic principles of good management of workers’ health.